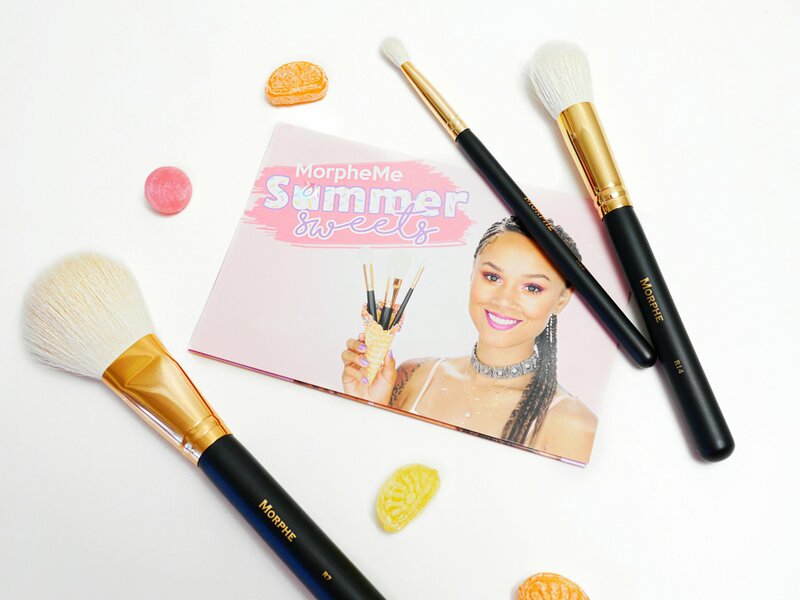 Morphe’s August brush package is a summer-themed “bag of sweets.” It features 3 rose gold brushes – 2 for face, and 1 for eyes. R14 Round Contour: (Natural hair bristles) this rounded brush has a domed, slightly tapered tip. It’s ideal for powder, such as setting the under eyes, baking, or contouring. 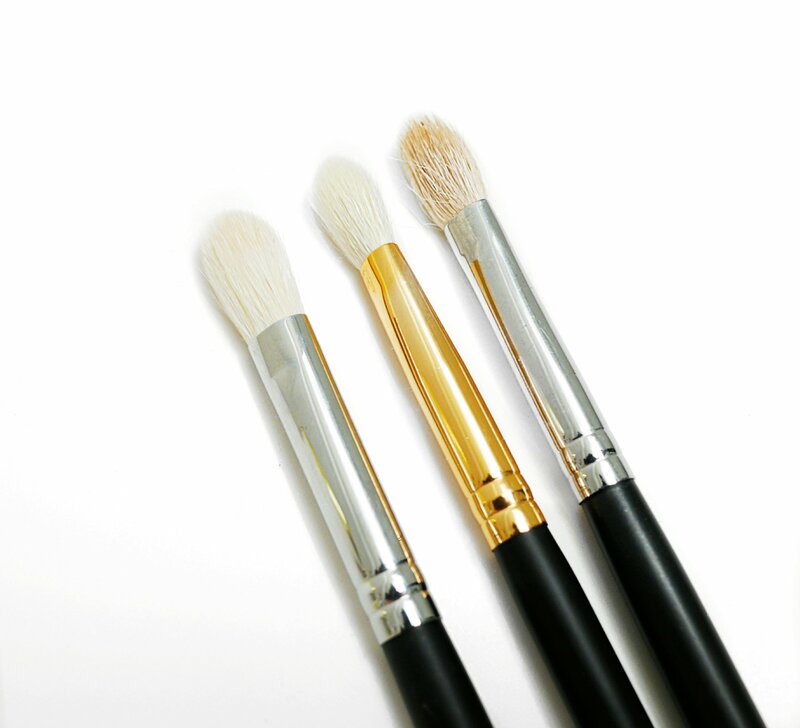 I personally love a brush like this for setting my under eye concealer, as it sets it lightly without adding too much powder, and fits perfectly around the contours of the eye! It’s similar in shape to the E48 (which is one of my all time favourite brushes) but the R14 is definitely a bit more dense, and much more rounded. R7 Deluxe Pointed Powder: (natural hair bristles) this larger, fluffy brush has a flattened shape that tapers to a bit of an angle. It’s pretty much a perfect dupe for the MAC 150 Large Powder Brush. The MAC 150 was one of my all time favourite brushes (when I used to buy and endorse MAC products, though I no longer do that due to their animal testing practices.) 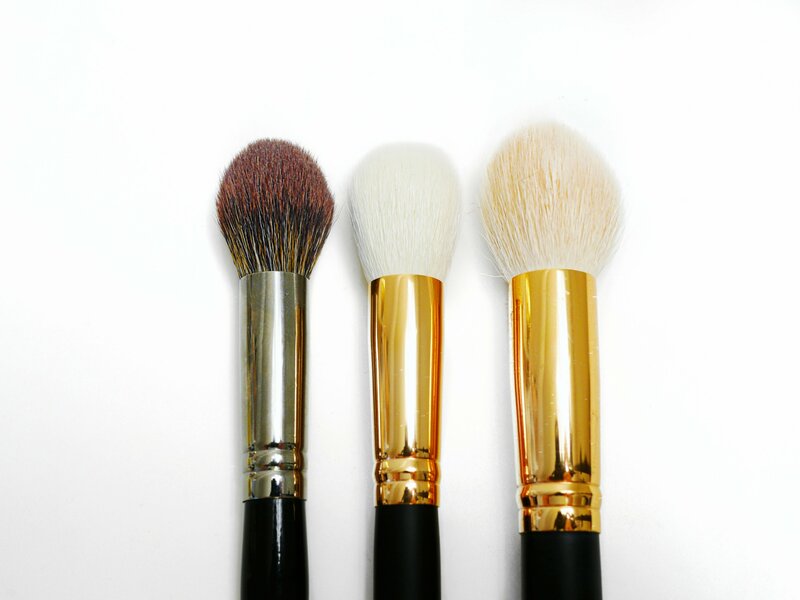 A brush with a shape like this is perfect for applying bronzer, powder, or blush. I personally use it every day for bronzer, as it applies it naturally yet gives you control for a more contoured look. It also works beautifully to apply a soft dusting of blush to the cheeks. R29 Tapered Eyeshadow Blending: (natural hair bristles) this small eyeshadow brush has a flat shape and is a combination of firm and fluffy. I personally find this much better for blending or adding colour to the crease rather than packing on colour to the lids. 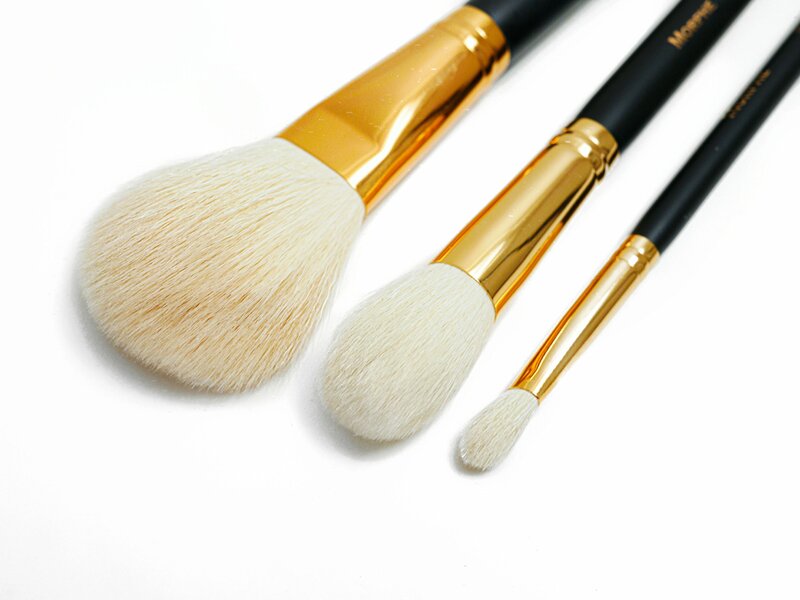 It also works nicely as a precise brush to highlight the cheekbones, brow bones, cupids bow, etc. It’s nearly identical to the M433 Pro Firm Blending Fluff, and the MAC 217 (though the R29 has longer bristles and is a bit more flat.) Eyeshadow brushes in a shape like this are a must-have in my opinion, though I’ve accumulated quite a few of this shape now and don’t really need anymore. Overall, I think this month’s is a good package with some basic necessities. I am a huge sucker for Rose Gold anything, and the brushes are very soft. However, I wish I had skipped this month – not due to quality of the brushes – but simply due to the brushes being made of goat hair. I try to avoid using any animal products now, especially in cosmetics. I sadly missed the skip date. 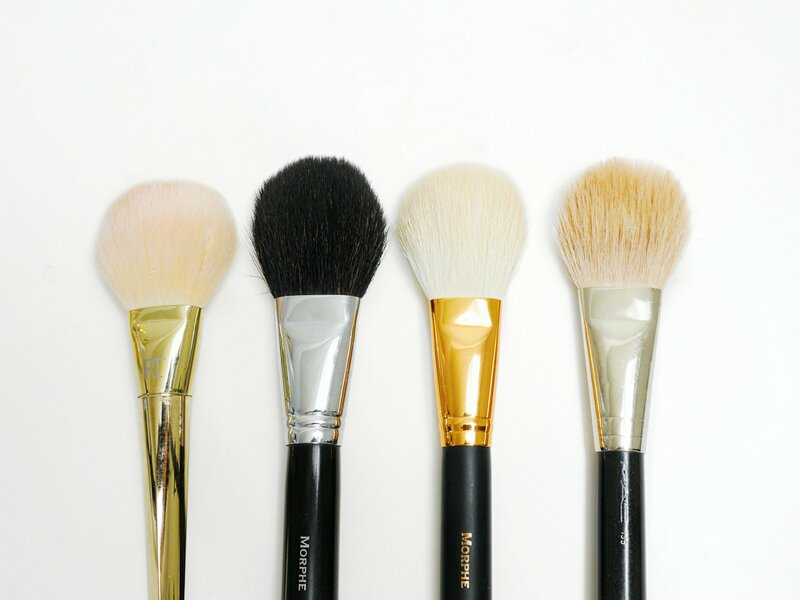 If you prefer to use synthetic brushes like I do (for ethical reasons) then you will definitely want to skip this month. 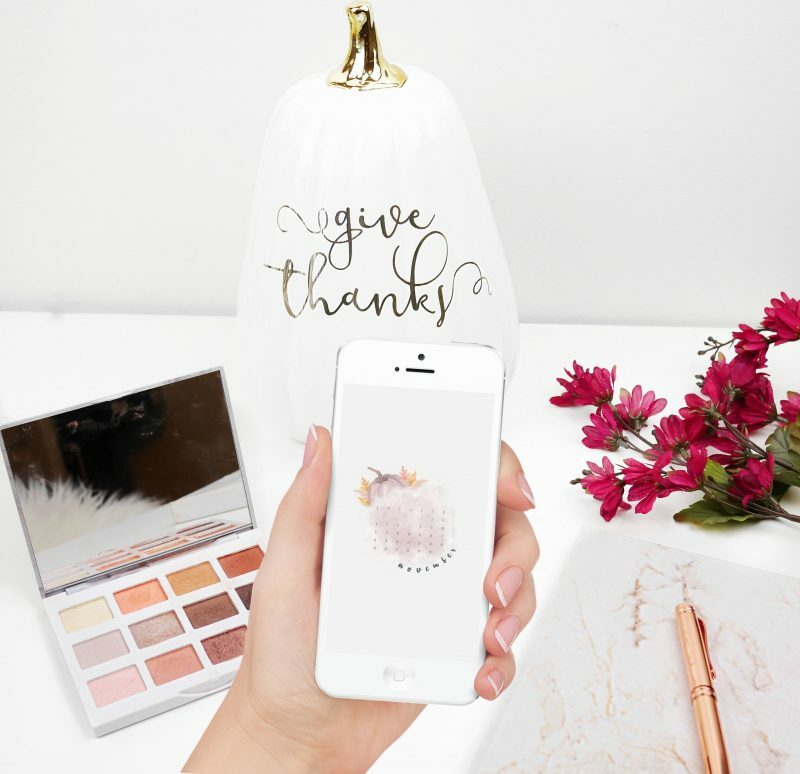 If you’re thinking of joining, you get a free brush when you join here through my link! 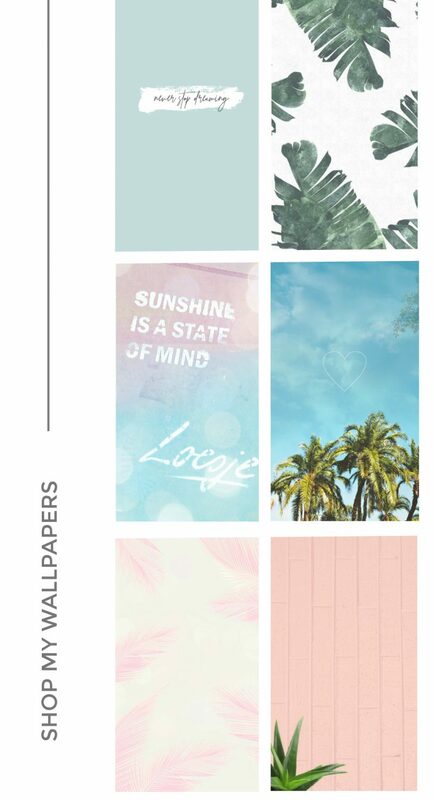 Download Free Wallpapers Every Month!